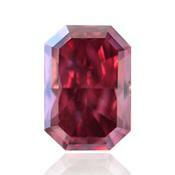 - 0.22ct Radiant shape Fancy Purplish RED,SI1 clarity. RED diamonds are the rarest of all Natural colors. The color saturation of this stone is magnificent. Meas: 4.26x 3.00x 1.97mm. GIA certificate. 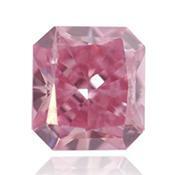 - 0.70cts Argyle Fancy Purplish Red diamond. A very rare Argyle diamond with an amazingly strong purplish red color stauration, and a size above a half a carat, which is very special in the world of Red diamonds. Original Argyle laser inscription, I1 clarit. GIA certificate. 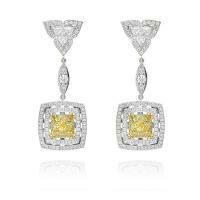 View all sale offering by red diamonds. 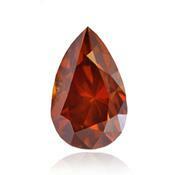 Natural red diamonds are extremely rare. These diamonds are so rare that even most part of jewelers had never seen and never will see natural red diamond. Of all the fancy diamonds red diamonds are the most rare stones, but even of these rare stones isolated diamonds ever received Fancy Red, that means is red color without any impurities. Like all the other colored diamonds, red diamonds can have the most various shades, but naturally red color will remain dominating color. For example, rose-red, brown-red, purple-red, etc. Red diamonds with shades even are extremely rare. Besides a rarity, the cut of red diamonds demands very high professional skills and much experience, it is important to make cut as to reduce the amount of waste and keep the size of the diamond. Among the colored diamonds, red diamond is especially rare and it is considered the most mysterious as no one can say for sure what caused of appearance of color in the stone. It considered to be in process of brilliant formation over millions of years, in a crystal lattice of a stone there were certain structural anomalies. Owing to the extraordinary rarity, red diamonds are great demand among collectors and connoisseurs of diamonds and certainly, red diamonds have the highest price as compared to all other colored diamonds. 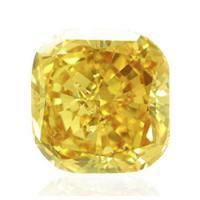 The price of red diamonds is very high, and depends on intensity of red color and additional shades. 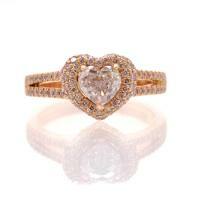 For pure red diamond down to 1 carat in size the average price per 1 carat reaches $1million. Because extraordinary rarity of the red diamonds are always in demand. All the world are knowing about 50 pure red diamonds, the part from them is considered missing. 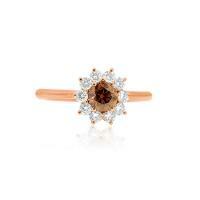 Consequence of a rare red diamond mining is the continuous increase of its price. Where red diamonds are mined? The majority of red diamonds was found in Australia, sometimes, but very rarely, they are found in Brazil and South Africa. Due to the extraordinary rarity of red diamond, ring with red diamond is extremely expensive, pleasure which units are able to afford. Red is the color of life, the color of love. Means of red color are courageous, fiery, strong, passionate. The most famous red diamonds. Red diamonds are the most rare colored diamonds. 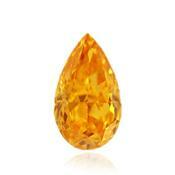 Number of certified Red Diamonds having a natural origin, is very limited. 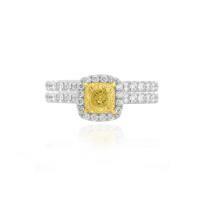 Most jewelers had never seen, much less kept in the hands of a natural red diamond. Sizes of Red Diamonds, unlike other colored diamonds are very small. The largest red diamond 5.11 carats. There are only 3 red diamonds whose weight more 5th carat. 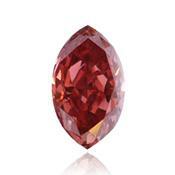 Moussaieff Red is red diamond, the largest of the currently. It weighs 5.11 carats (1.022 g). 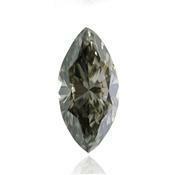 Diamond has a triangular brilliant cut. 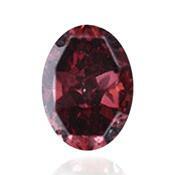 Red brilliant from which Moussaieff Red a diamond was cutted, was found in the 1990th years in Brazil. The weight of the found rough brilliant was 13,90 carats. Initially, brilliant was purchased and cut by the diamond corporation of William Goldberg, where received the primary name is the Red shield. 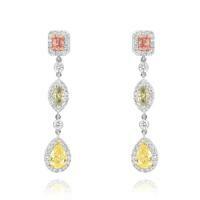 At present, it belongs to the house jewelers of Moussaieff. In 2002, the Moussaieff jewelry house bought red diamond for $ 8 million, its like $ 1.56 million per carat. 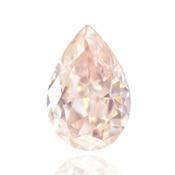 There is no doubt, that the cost of Moussaieff diamond today is much higher. The second highest value among the largest red diamond is named "Red Diamond". 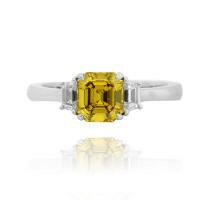 The diamond weight is 5.05 carats, has emerald cut. "Red Diamond" was mined in South Africa in 1927. Today there is no data on the location the "Red Diamond", which is very unusual for such a rare jewel. Red Diamond “De Young Red”. 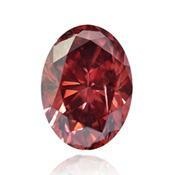 The third largest of red diamond is “De Young Red” considered. This red diamond is weighing 5.03 carat round cut has. 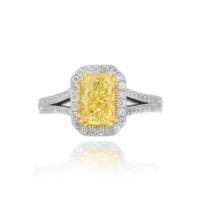 Diamond was named in honor of the previous owner of the Boston jeweler Sidney de Young. 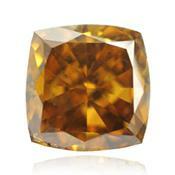 At the time, Red diamond de Young was mistaken for a garnet. 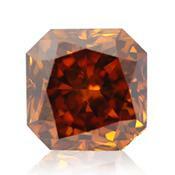 Diamond De Young Red is not purely red, it has a slight brown shade. Now, the Red diamond de Young is a part of the National collection of jewels and minerals of Smithsonian institute (USA) and exhibited in the Smithsonian Museum in Washington, DC. The fourth place is occupied by Graff Purplish Red, red diamond octagonal cut, weight - 2.26 ct. Place of production is unknown. 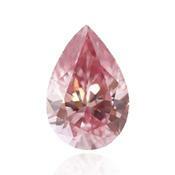 Diamond has a purplish-red color. Graph Lawrence bought the red diamond in 2007 at auction, paying $ 2.66 million, which amounted to more than $ 1.18 per carat. In present, the diamond belongs to the London jeweler home of graph of Lorentz. 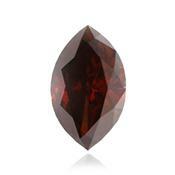 Fifth largest considered the Unnamed Red Diamond, having a weight of 1.92 carats. Hancock (Halphen) Red diamond concerns to one of the most famous diamond. Brilliant, which from was cut red diamond Hancock Red, was found in Brazil. Shape of diamond is round, weight is 0.95 carat. Diamond has a dark ruby-red color. In the 19th century, Edwin Streeter, the Parisian diamond trader, bought extremely red diamond named the “Red Halphen”. 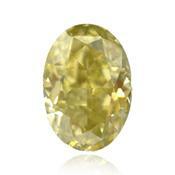 Diamond was weighted 0.95 carat. Nearly a century later, in 1987 at Christie's auction in England the purple-red diamond weighing 0,95 carats for $880 000 was bought. In spite of the fact that there are no proofs confirming that it is one and the same diamond, in connection with a rarity of red diamonds, similarity in the weight and color do this assumption quite probable. Start now, the diamond had own name "Hancock Red", called in honor of his present owner Warren Hancock. Red diamond "Lady in Red"
The diamond "Lady in red" received the name because of extraordinary rare intensive purplish-red color. 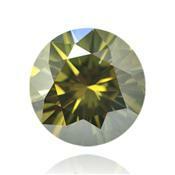 Diamond was found in mine “Argayl” in Western Australia, in 2006. Lady in Red is a diamond weighing 0.54 carats, has a round cut and high purity. In 2006, brilliant “Lady in Red” was put up for auction “Argyle” among 65 pink brilliants and was acquired by Brisben-Cameron-Robinson jewelry house. The buying price isn't known. In the world there are about 20 red diamonds, including seven described above, certified as red diamond.